The weather at last changed for us so we headed to Sogut – had one final rain shower on the way after that beautiful blue skies. Sogut was amazing, this place we would highly recommend to be honest one of the prettiest places we have ever been and ‘Bosie” at the Octopus Restaurant was a real character and very welcoming – food was excellent. 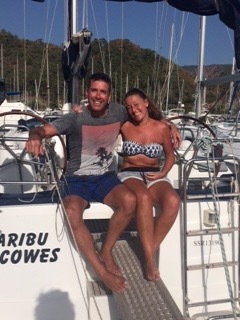 Our best day sailing!!! Next day again plenty of wind and clear blue skies – we headed to Selimiye. Again OMG what a place – so picturesque moored outside Aurora had a meal, food was lovely but pricey. Started off early next day to Bozukkale very very windy force 5!! but had a fab day sailing! !Arrived at Sailors House to a very warm welcome from Mustafa. This place is lovely, food and family welcome. Only thing is not the prettiest of places once you have visited the previous places. 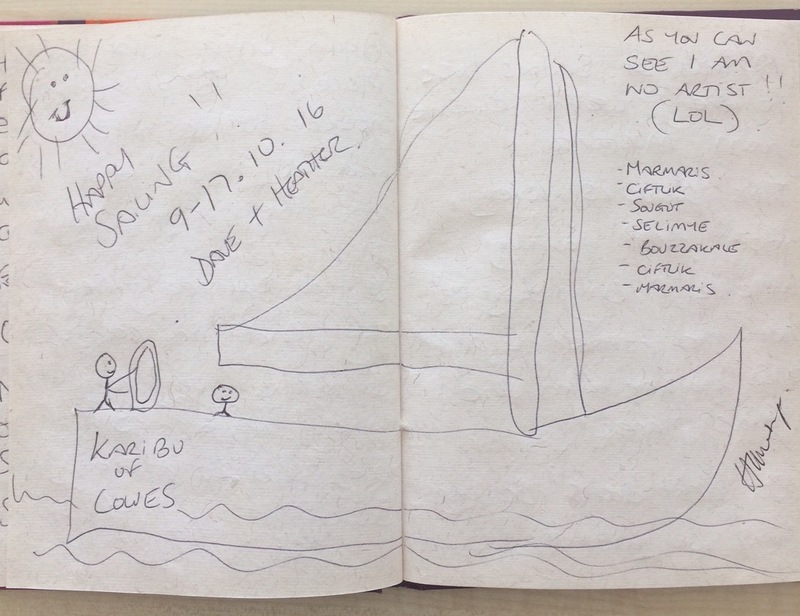 Our next day sailing was very uneventful – No wind at all!! Arrived at Ciflik early Pm and had a couple of hours on the beach!! Engin and his staff at Azmak are amazing!! and the food is lush. We even had the full English the next day. Again no wind for our return journey to Marmaris and its time to go home – Booooooooooooo! It has to be said Karibu is a truly beautiful yacht and a joy to holiday on! !